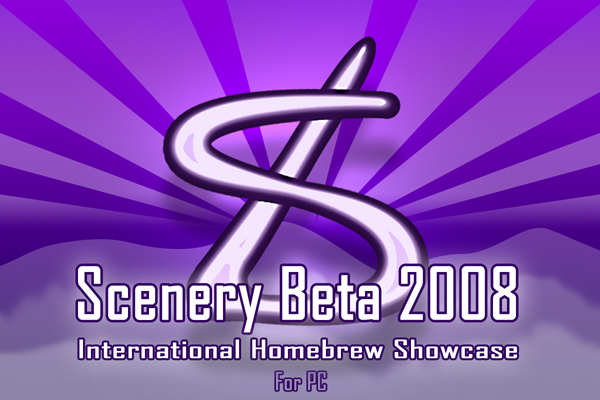 Scenery Beta is an international homebrew showcase, where developers and teams from around the world may show their works and projects, and so make 'em known to the Big Audience. 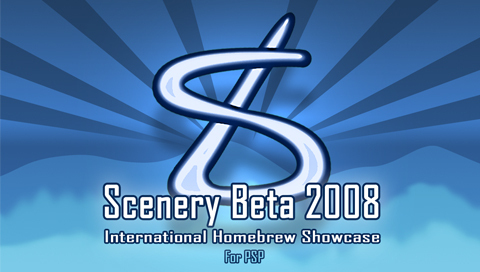 It is aimed to those platforms on which SceneBeta.com has an active community right now (PC, PSP, NDS and Wii), and akin to the commonplace film festivals. There will be two different sections (official, or contest section, and off-contest section) for each platform (PC, PSP, NDS y Wii). The organizers reserve the right to classify any homebrew sent as "off-contest", either due to lack of functionality (like proofs of concept), or any other likely reason, which will be always explained to the author(s). Which adds to a 2.400€ and 40 2-GB Pendrives total amount. Besides these official prizes in the contest categories, the organizers may agree to grant special, symbolic awards in the off-contest section. 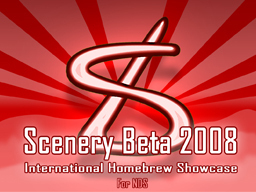 Those homebrews presented as a novelty for Scenery Beta will have a score bonus. The same homebrew cannot be presented to more than one category. Inscription period: From the moment these rules are published until Sep, 1, 2008 at 24:00 hrs (UTC+2 timezone). The author (either a single coder or the whole team) must answer the voting form, where he/she will mark the 3 best homebrews for each category where the author has submitted any work (auto-voting is forbidden), or else the score given by other coders to his/her work won't be added to his/her final score. The organization reserves itself the right to mark any work submitted as an off-contest work. 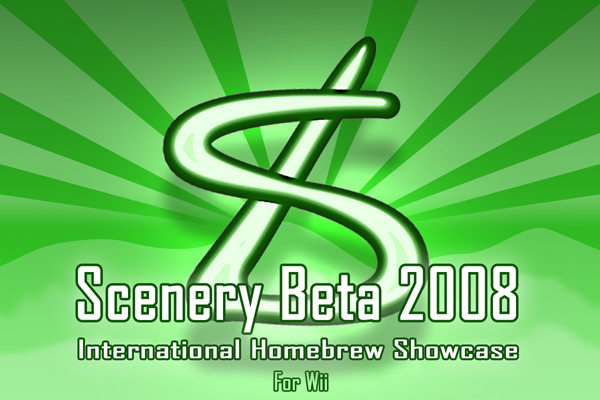 All works must be e-mailed to this address: scenerybeta2008@scenebeta.com. All submitted works which comply the present rules will be published in the relevant community of SceneBeta.com. By submitting the work, the author agrees to this publication. 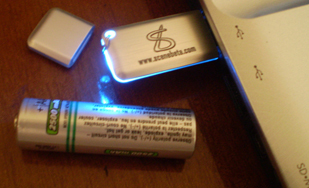 Works must be sent as a single compressed, attached file, in ZIP, RAR or 7Z format. It is allowed to send more than one version of the same homebrew, as long as the submitting period is still open, and the version which will be voted shall be the latest one presented which complies with the present rules. Any new version shall be e-mailed again, with the same requirements. Platform: either PC (and which operating system), PSP, NDS or Wii. If it's being presented as a novelty for Scenery Beta 2008 or not. User votes: 25% of final score. Contestant (coders/teams) votes: 50% of final score. Each contestant (either single author or team) will receive a form where he/she will choose the 3 best homebrews for each category on the platforms he/she's contesting in, not being allowed to vote for him/herself. The author has to fill this form, or else the other contestants' votes for his/her homebrew won't be added to the author's final score. Organization's rating: 25% of final score. The organization will assess for each work its translatability (easyness to translate to other languages), freeing the source code ("free" as in "freedom of expression", NOT "free beer"), being a Scenery Beta novelty (that is, the homebrew has been unpublished until submission to SB), and putting to good use the network capabilities of its platform. The maximum score for the organization's rating will be 10, and all the assessed aspects will have the same value. The total organization's rating will be multiplied by 0.25 and that amount added to the final score. All authors will be informed of his/her rating in detail, once the submitting period is over. The winners list will be published on October, 1, 2008. Once the winners are known, the cash prizes will be cashed either by bank transfer or PayPal (winner's choice). The material prizes (pendrives) will be sent by registered international mail. The Scenery Beta 2008 organization reserves the right to modify partially or totally the present rules, if there are major reasons to do so ("major reasons" being what is also called in legal terms "act of God" or "force majeure"), and always in a reasoned, well-explained way. Also, the ultimate interpretation of these rules will be that of the organization. Here's the link to the Scenery Beta 2008 article.